Mirror: Check. Chisel: Check. Plans for the rest of the day: Whiskey tasting in Arthuk. Blinking is a sign of weakness. Why would anyone need to blink when you have your eyes closed for 2-8 hours at night? For those of you without the basic wherewithal to keep your eyes open, these creatures can easily be defeated using a household mirror, a chisel & hammer, and a little elbow-grease. 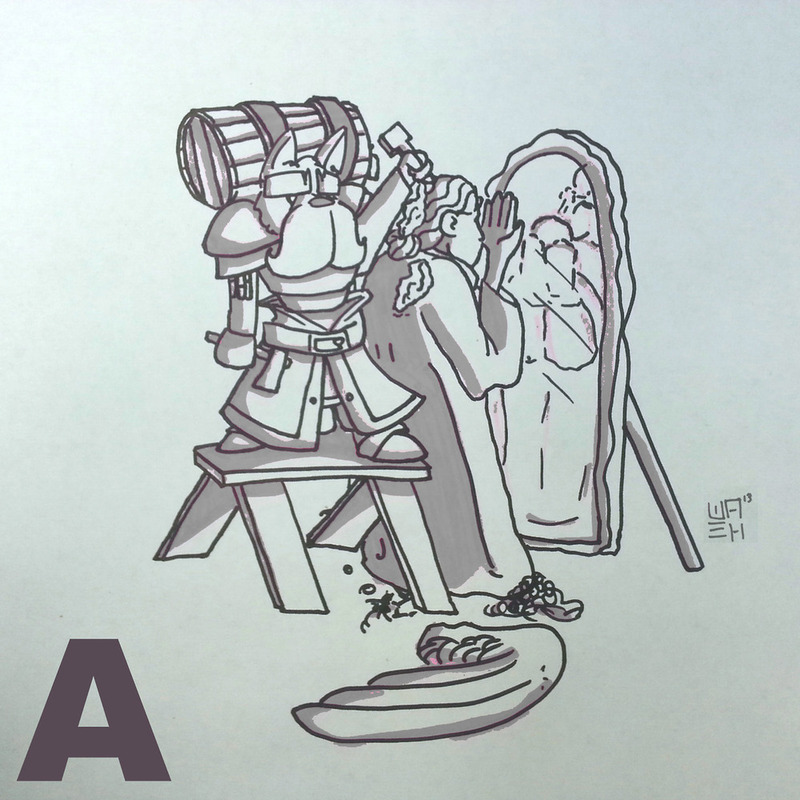 Place the mirror in front of the angel, which will remove any advantage the creature may possess. Start with the wings, then work your way down from the top. Rubble can be re-purposed into a quaint garden walkway, used as ballast, or ground down and mixed with calcium oxide to form a moderate-strength cement. For more Doc Keratin, check out his twitter and profile page. Find more of his ABC's of Monster hunting on the blog roll. April 9, 2013 by Crit Juice.